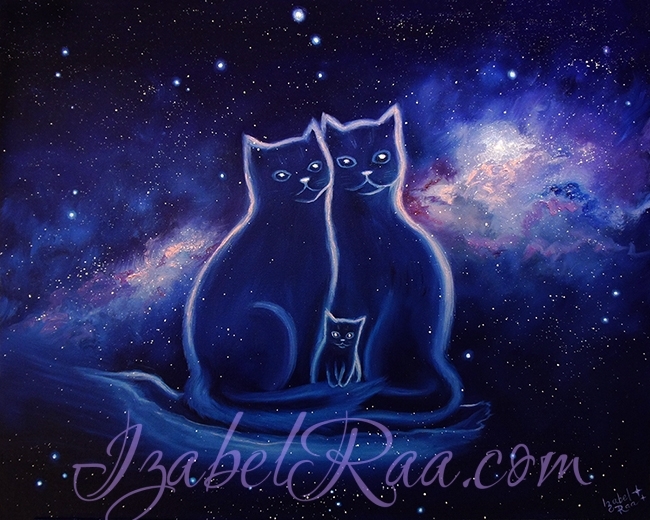 “Family of Cosmic Cats”, or “Eternal Love”. Oil painting on canvas. 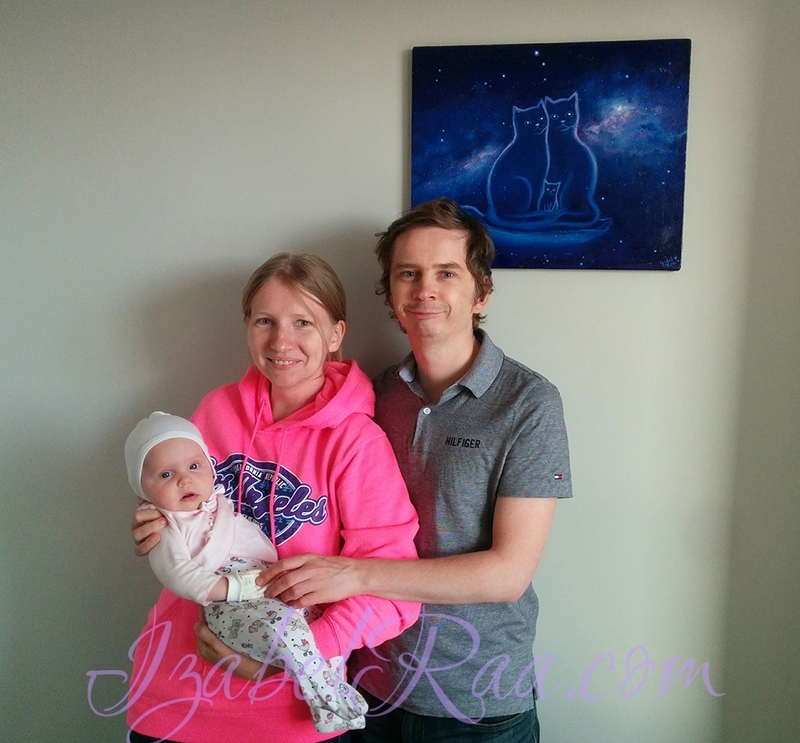 Commissioned painting for the family of three beautiful souls (Andrew, Kate & Arina). Izabel was given initially a very difficult task – to paint a family portrait, allegorical of course, with two loving cats and their kitten. How brilliantly she managed to cope with everything! And the image of the Universe and our galaxy, as always, is beyond praise. For our family, this is a very special work – creation, symbol of eternal love and deep connection of our souls.